What Age Can I Sleep Train My Baby? If you search, “What age can I sleep train my baby?” you’ll come across a wide variety of answers. Some sites might tell you that you can sleep train a newborn, and others will tell you you have to sleep train by the time a child is 6 months old or else the process becomes a lot more challenging. We here at Baby Sleep Trainer feel that a baby can be trained around 16 weeks of age or older. First off, I don’t believe it is wise or advisable to attempt to sleep train a newborn. 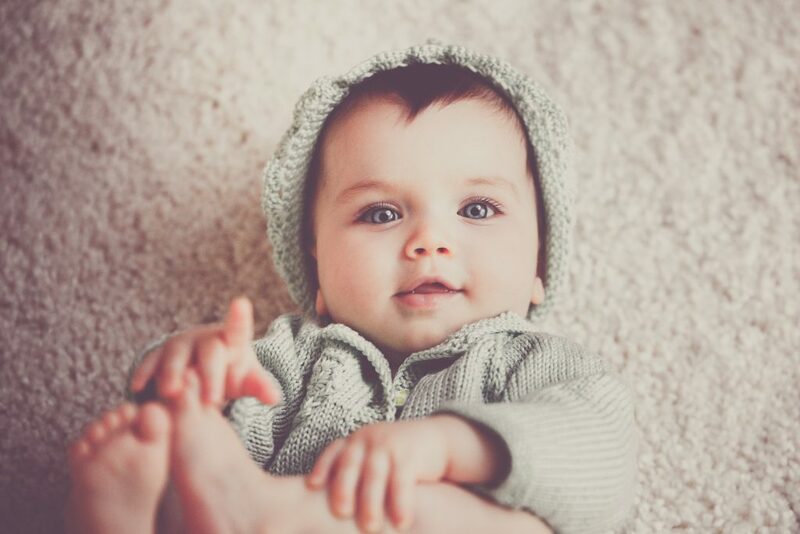 While there are many things you can do in the first four months of life to ensure a baby gets as much sleep as possible, there are a variety of reasons it’s a good idea to wait until your baby is 16 weeks of age or older (counting from their due date) before attempting training. 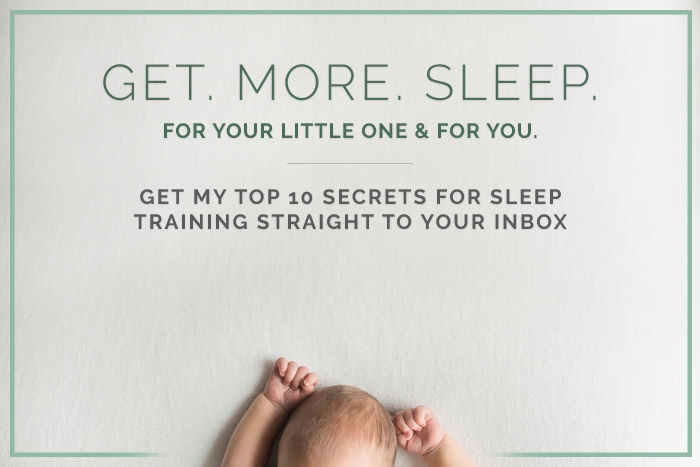 First off, remember that sleep training mainly involves teaching a child to fall asleep without any sleep props. While it is technically possible for a newborn to learn to fall asleep independently, melatonin, the hormone that regulates sleep, is not excreted from the brain into the body in a regular pattern until some point between 9 and 15 weeks of life. Attempting to train a child younger than 16 weeks may prove fruitless because the baby may not be cognitively capable of regulating their sleep into discernable patterns at such a young age. While 16 weeks of age is the youngest one should attempt to sleep train, it is by no means necessary to start training at this age. There are drawbacks to training at every age, and sleep training with a young baby presents the challenge of short naps. In my experience, infants under the age of 6-7 months typically take short naps. In order for nighttime sleep to consist of long periods of uninterrupted sleep, it’s necessary for children to nap in an age appropriate pattern. Since it is vital to nap and night train at the same time, parents of younger infants find short naps to be especially difficult, and too many naps can cause frequent wakings overnight. Younger infants struggle to link sleep cycles during the day day, and because it’s important for sleep trained children to have the appropriate number of naps each day, families who choose to sleep train younger infants may find it challenging to deal with the increased fussiness while their baby learns to be awake for longer periods in between naps. However, sleep training at an early age ensures that a child gets as much sleep overnight as possible, and that they are able to fall asleep 100% on their own and not rely on a caretaker or sleep prop in order to fall asleep. Sleep training tends to go the smoothest when tackled between 4 months and 16 months of age. There can be a bit of a “sweet spot” around 7-9 months of age where babies are more reliably able to link sleep cycles during the day, meaning less fussiness and crankiness during the overall sleep training period. However, if a parent of a four-month-old is really struggling with frequent overnight wakings that may require lengthy parental intervention in order for the child to fall back to sleep, or if it takes Mom many minutes at every nap to put baby to sleep, sleep training at an earlier age will bring welcome relief. While it’s never too old to sleep train, it’s a good idea to tackle the issue well before a child is able to climb out of their crib. Once that occurs, which typically happens around 15-17 months of age, it is next to impossible to train a child in the traditional sense. If a child can climb out of their crib they should be switched to a toddler bed immediately. If a child is not contained by a crib, they can come and go from their bedroom as they wish, and before 2.5 years of age, they may not be able to understand more traditional toddler sleep training programs (found in my book). If a parent cannot do a normal, check-in based method that requires a crib, they may not find themselves with many options to deal with sleep issues that arise at this age. If you are considering sleep training prior to this age, make sure you are prepared with affordable, hands on support to guide you through the process. Sleep training can start as early as 16 weeks of age, counting from a baby’s due date. Many families may find it better to wait until a child is a bit older to sleep train. Sleep training at ages younger than 6-7 months may mean a child struggles with short naps making them fussy and tired throughout the day. But, tackling sleep training at an early age, even with its challenges, will help parents and baby get better sleep at an earlier age, especially overnight. Baby Sleep Trainer is here to help you and your baby on your sleep training journey with various resources from detailed blogs, videos to help you understand more about how sleep training works, and hands on support from when you start sleep training all the way until you’re done with process. While sleep training may seem overwhelming, with a clear plan and adequate support, the experience can be a lot less frustrating than many families worry it will be!